Tuscany, Italy. The Lucca area is absolutely packed with beautiful sights, cultural events, great day-trips and amazing food. Here is just a small sample. Using your rental villa as a base, your group can do all the things on this page, on your own. Lucca is located between Florence and the Mediterranean Sea, in the northwest of Tuscany. By autostrada, Florence is 38 highway miles (61km) to the east, Pisa is 22 miles (35km) southwest, and the famous seaside villages of the Cinque Terre are 60 miles (96km) northwest. 1. 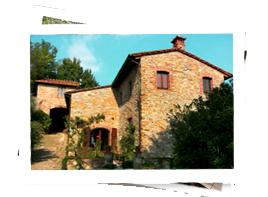 Visit Lucca from you rental villa again and again. 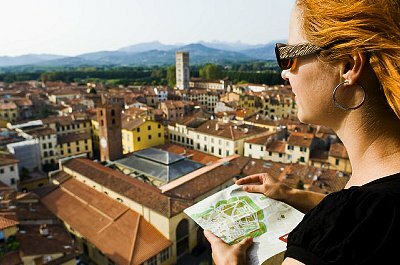 The city of Lucca is a short drive from most of our rental villas. 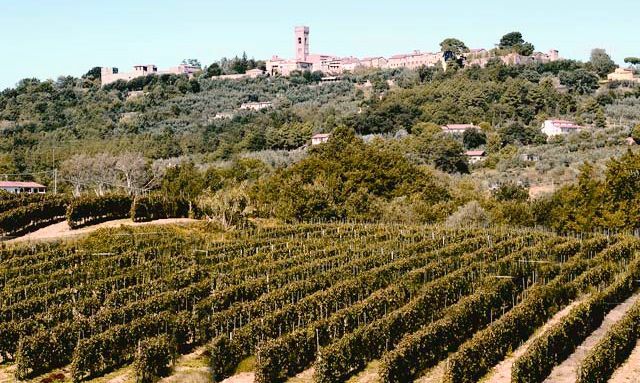 One of the most beautiful and charming towns in Tuscany – its piazzas and winding streets are full of restaurants, coffee bars, shops, museums, and gelato shops. The whole city is surrounded by a massive wall, 2.5 miles long, and so wide that there is a park and jogging/biking path on top of the wall all the way around. It is the best city in Tuscany and you will love it. Here is the view from a tower over Lucca, with the gorgeous hills surrounding the town in the background. 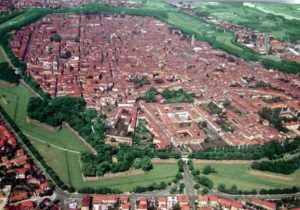 Lucca is the only sizeable Tuscan town to completely retain its surrounding walls. 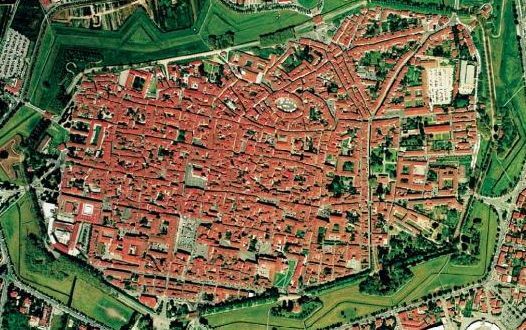 Most of the town, its piazzas, streets, and most of the encircling wall, were laid out by the Romans. Because the entire city inside was completely developed by the 17th century, the walls had the effect of preserving intact the entire medieval city. Historical buildings, towers, gardens, shops with local wares, churches and charming restaurants — all retain their original character. 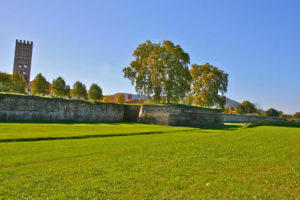 This is a portion of the 2.5 mile long walls surrounding Lucca. 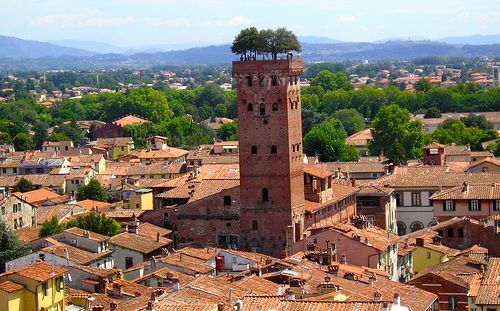 (Our Deluxe Lucca Apartment is just near that big tower). These green fields, surrounding the walls, could be flooded to create a moat when an enemy invaded. The walls are so wide that there are trees and park and a jogging/biking path around the top. This is what it looks like on top of the walls. This path on top encircles the city. 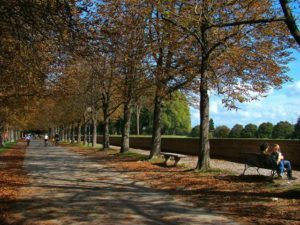 On summer evenings, families take their "passeggiata", or evening stroll, around the park on top of the walls, taking in the view of the city and the surrounding countryside. You can rent bikes too and ride through town and around the top of the walls. In the morning, a perfect place to jog. And there is a gelato shop, coffee shop and restaurant on top of the walls too. Just over that small barrier you see on the right, the wall drops about 20 feet into the old moat. On the left, there is a slope down into the historic center. The walls themselves are medieval fortifications, and they are full of tunnels and rooms. 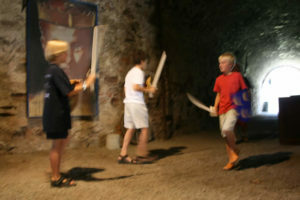 These are my sons (and friend) playing inside the tunnels during a festival. Inside the walls, most of the city is closed to automobile traffic. This makes Lucca unique -- it is bursting with life, and all on a very human scale. Instead of driving, locals ride bikes or stroll through the narrow streets, buying fresh bread, gathering at street-side cafes, browsing at the outdoor market, lingering in the broad piazzas, or filling their water bottles from the many fountains. There are hundreds of shops, mostly one room each, which offer everything you could imagine. And a coffee shop or wine bar about every 100 feet. Monuments worth visiting are the San Martino cathedral (with the beautiful tomb made for Ilaria Del Carretto by her young husband), Basilica San Frediano, and the Piazza dell'Anfiteatro (built on the ruins of a Roman amphitheatre). This is a photo I took just before Christmas this year -- the blue lights were moving across the face of San Michele church. Many of the large palaces in town have lovely gardens and private towers which can be toured. One famous tower even has oak trees growing on top. 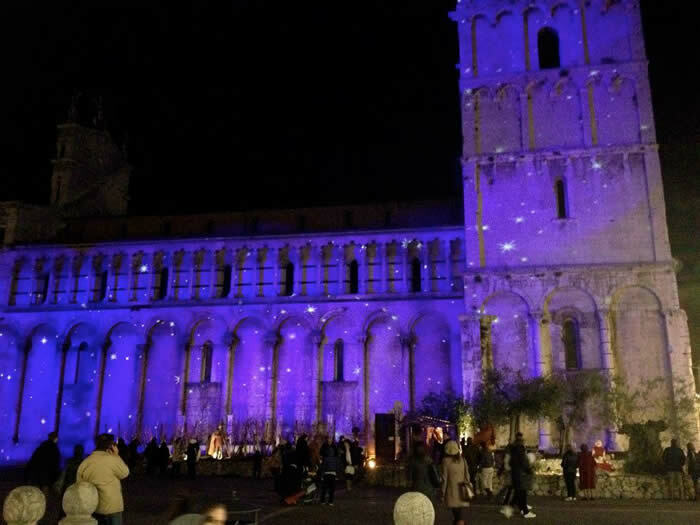 Life in Lucca features a series of traditional and cultural events, from the Santa Croce light festival, archery competitions, drum corps marching down the streets in period costumes. 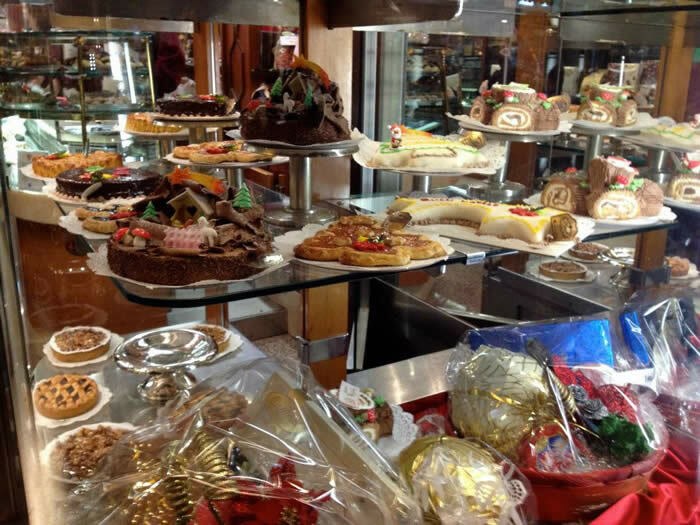 There are many many great restaurants, from casual to fine dining, and the local culinary specialties are tortelli, farro in addition to all the delicious varieties of pasta, pizza and, of course, lots of gelato. And winebars throughout the town where locals gather together. 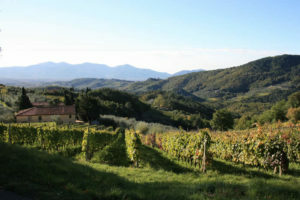 Very good red and white wines are produced in the hills around Lucca. This is the view toward Lucca from the area where most of my villas are located. This farmer was born in the rental villa I used to own! ... and olive oil from the area is world famous. 2. 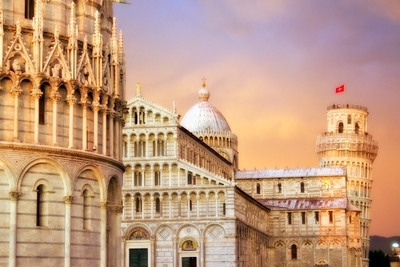 Day trip from your rental villa to Florence. 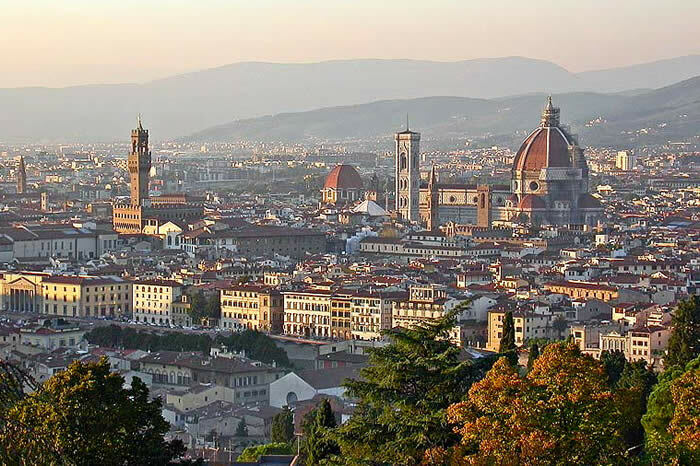 Florence is an easy day-trip, and most guests spend a day visiting the famous city. To get to the historic city center, we recommend one of the express buses or trains from Lucca, directly to downtown Florence – it is quick, hassle free and reliable. 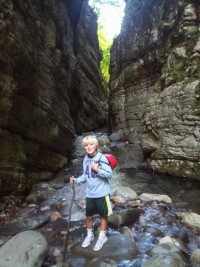 This is a great day trip, and if you want to explore on your own, it is easy. We can give you the details on how to do this. And if you would like a guide and/or driver, we have these available on our "Add-On Activities" page. 3. Explore the countryside near your rental villa. 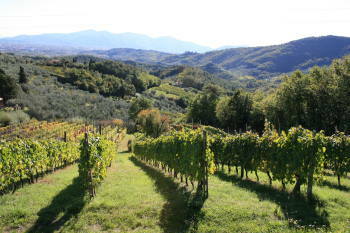 The countryside around Lucca offers some wonderful scenery. Lucca lies next to the Serchio River in a fertile valley, and the city is nestled in gentle hills, covered with olive groves, vineyards, parish churches with bell towers, and dotted by 16th century villas and farmhouses. There are many many little villages. This is the little village Aquilea, where several of my villas are located. Through all of this winds the famous "Strada del Vino," a lovely country road passing many wineries producing Lucca’s famous Colline Lucchese and Montecarlo D.O.C. wines. In the very far northern distance you can see the tips of the Alpi Apuane mountaintops. 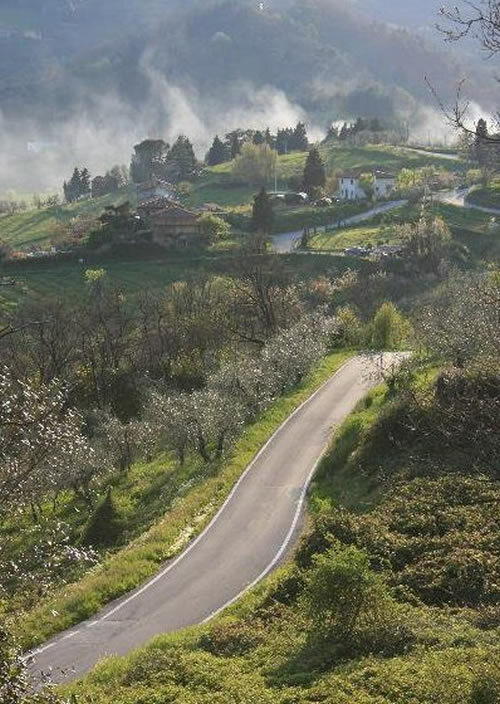 Our villas sit on some of the most beautiful hills in Tuscany, and one of the most rewarding experiences you can have, is to put aside schedules and plans, and set out to walk these small roads together. One of our big villas in in middle/right hand side of this photo. 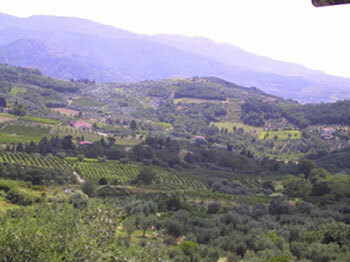 The hills are covered with olive trees, centuries old. Their silver-green leaves and twisted trunks are beautiful. Here is my son harvesting. 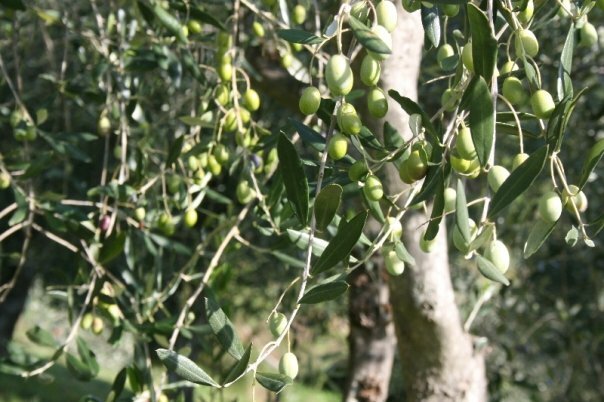 Every November, the locals go into the fields to harvest their olives, take them to the mill, and press their own olive oil. This is Mario, a neighbor who uses an old WWII parachute under his trees, rather than nets. It is a beautiful tradition practiced by families for centuries. 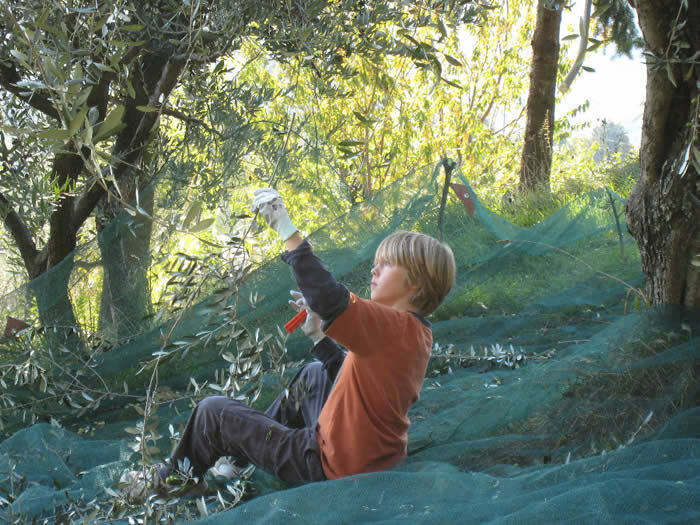 With pride and care, each tree is picked by hand. A fascinating time to stroll in the countryside. 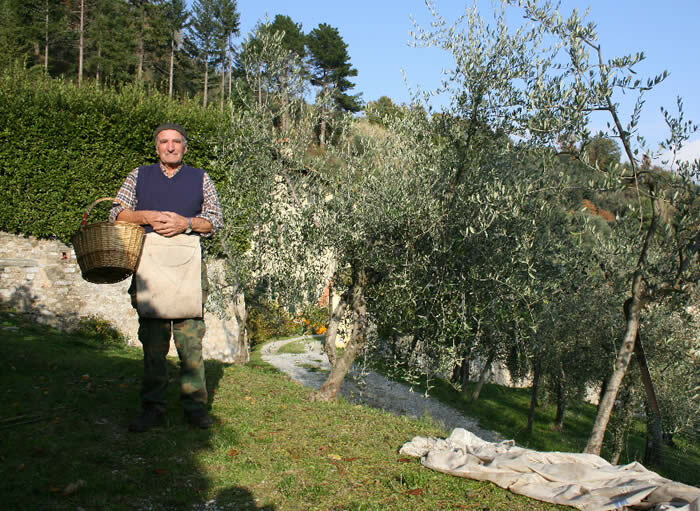 For a few groups, we've organized participation in the harvest, a trip to the mill and taking home your own olive oil. 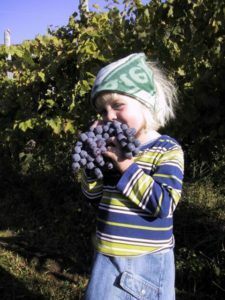 The grape harvest is a great time for photos. And the first wine is usually ready a few weeks later. The Italians love it, and if you have never tasted 'new' wine, full of fruit, you should experience this. 6. Day Trip from your rental villa to the Cinque Terre, Portovenere, Lerici. 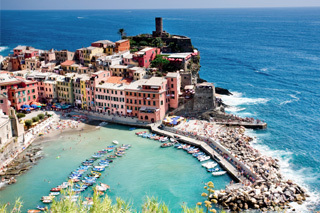 The seaside villages of the Cinque Terre are about an hour and 30 minutes from most of our villas and it has been a favorite day-trip for our guests, with its crystal clear water, spectacular scenery and cliffside hiking between the fishing villages. We have driving directions and advice, and you can easily do this by yourselves, for a great day. 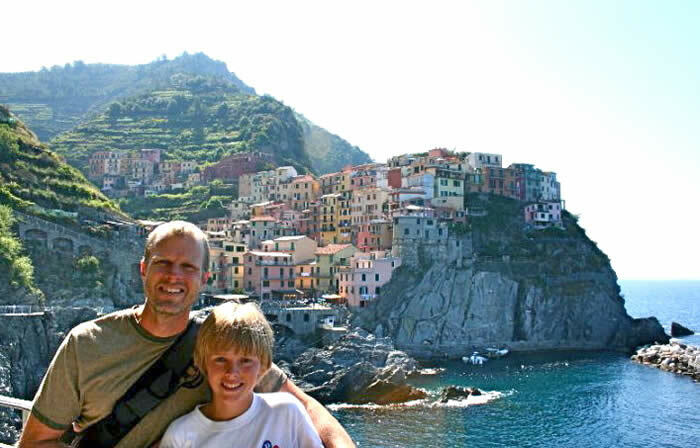 James and son Riley hiking and swimming for the day in the Cinque Terre. 7. Quick trip from your rental villa to Pisa. 8. Lucca Antiques and Crafts Markets. 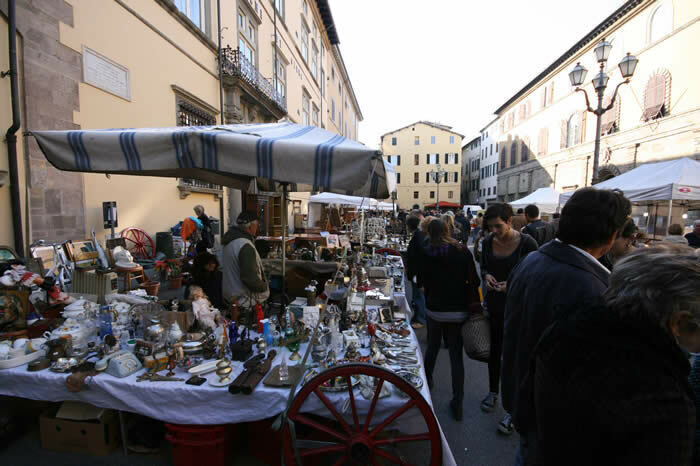 The third weekend of every month there is a huge antique fair filling many of the the streets and piazzas of Lucca. And the last weekend of the month, there is a craft fair. 9. 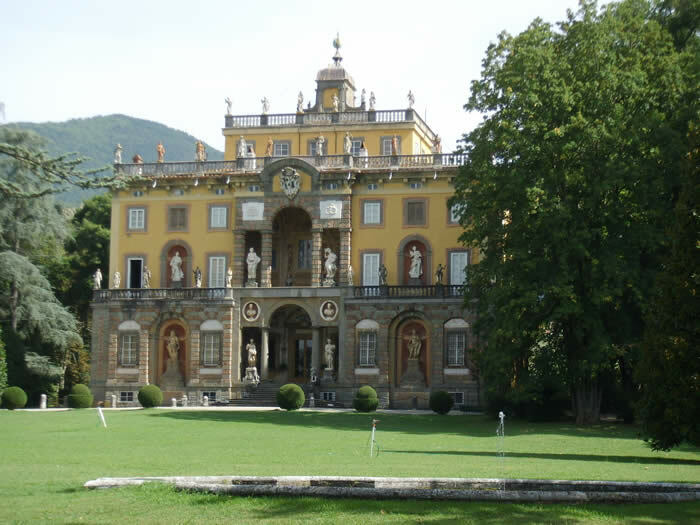 The Grand Villas of Lucca. Some of the most beautiful villas and gardens in Tuscany in the Lucca area, and some are open to tour. Villa Torrigiani, Villa Reale, Villa Grabau, Villa Mansi, Villa Oliva, and Villa Guinigi are nearby and open to the public. Also nearby is Collodi, with its Villa Garsoni and the Parco di Pinocchio. 10. Local Markets. There are many farmers, craftsmen, culinary producers, who who bring their goods to sell at open air markets. 11. The Garfagnana, near the rental villas. 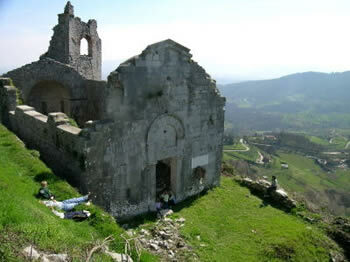 The Apuan Alps and the Garfagnana region of Tuscany are just north of Lucca. This is one of the 'undiscovered' areas of Tuscany, still full of tiny hidden villages. 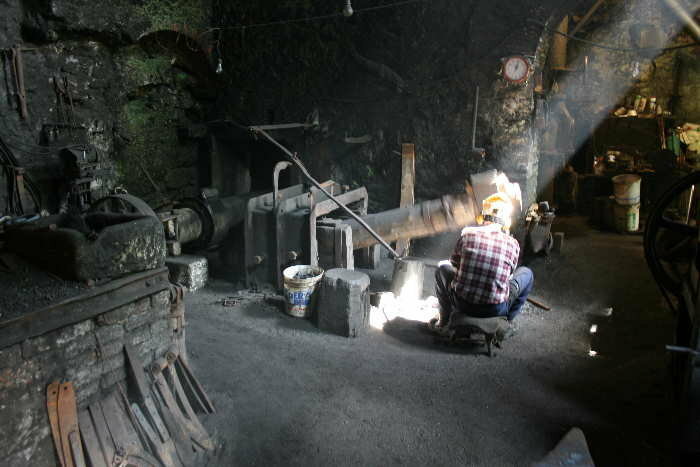 And in the Garfagnana, there are still craftsmen working using centuries old methods, like my friend Carlo the blacksmith. 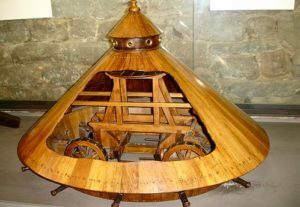 His shop is hundreds of years old, all powered by a waterwheel inside a cave, attached to a huge timber and 400lb hammer .... you can't make these things up -- no one would believe you! Visit the 800-year-old Devil’s Bridge, just 20 minutes north of Lucca. You can climb to the top of this, and won't believe how huge it is, and how it is still standing after 800 years. 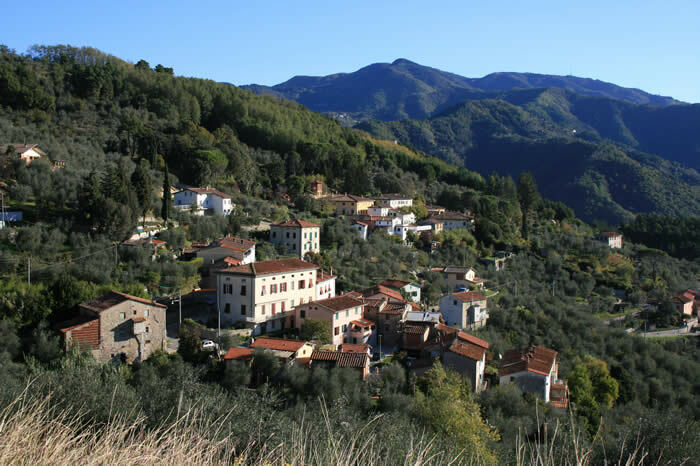 Visit the hilltop town of Barga, 30 minutes north of Lucca, heavily influenced by immigration to and from Scotland, you can find a fish and chips, and a great jazz festival here! 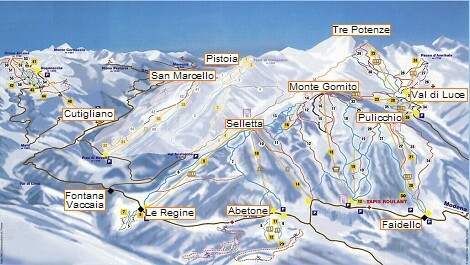 Forty-five minutes north of Lucca, spectacular mountain hiking in the summer, and winter skiing at the Abetone ski resort. On clear days, you can sometimes see the Mediterranean Sea from the top of the mountain. 15. Summer concerts. The summers are full of music concerts, many of which take place outdoors or in ancient cathedrals. The biggest festival is called Summer Fest, and some of the biggest names in music play outdoors in a piazza inside the walls of Lucca. The past few years have hosted Elton John, Eric Clapton, James Taylor, Peter Gabriel, Leonard Cohen, the Black Eyed Peas, Roger Waters, the Dave Matthews Band, Nora Jones. 16. Go to a Local Village Festival. 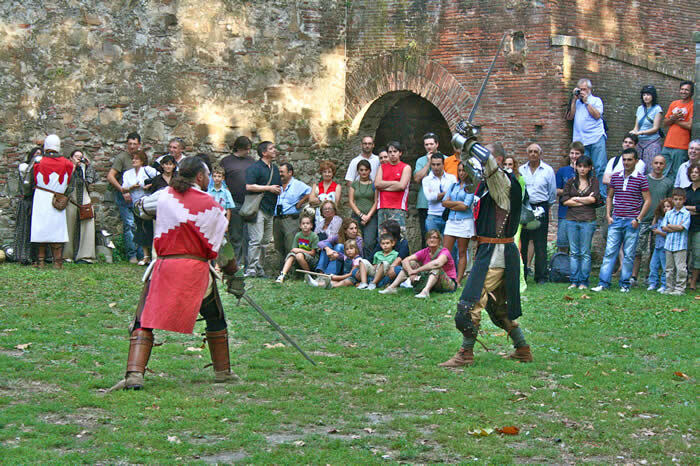 Almost every weekend during the summer one or more of the villages near Lucca holds a themed local festival – some include outdoor dining and dancing, some are medieval festivals. 17. Opera in Lucca. 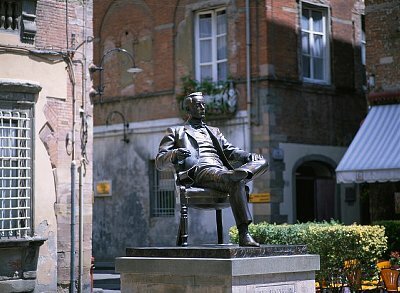 Music is also very important in the city where both Giacomo Puccini and Luigi Boccherini were born. Every kind of music from popular to classical and opera can be heard out in the piazzas, in the city’s theater or in the many churches. As you stroll, you are likely to hear opera streaming from an open window, rather than any other music. Every night of the year, there is an opera recital in Lucca, about 90 minutes long. A lovely evening, includes going to this recital, then dinner in one of Lucca's restaurants, then strolling the piazzas and shops. 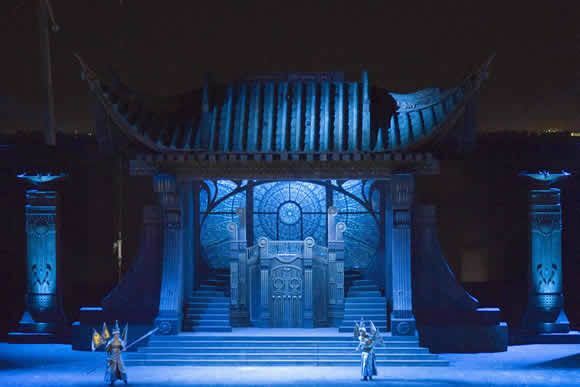 For opera lovers, the Puccini Festival takes place outdoors in July and August, near Lucca in Torre di Lago, in a lovely lakeside setting near Puccini’s villa. 19. Bagni di Lucca. The famous spa town of Bagni di Lucca is about 30 minutes north of Lucca. 20. Viareggio, near your rental villa. 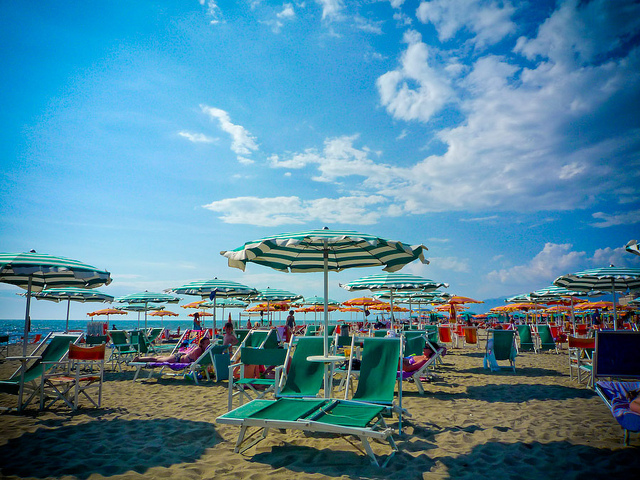 For a leisurely day sunning, the beaches of Viareggio are about 30-40 minutes from Lucca. From these wide sand beaches, you can swim in the Mediterranean, and see the white marble mountains of Carrara in the background. 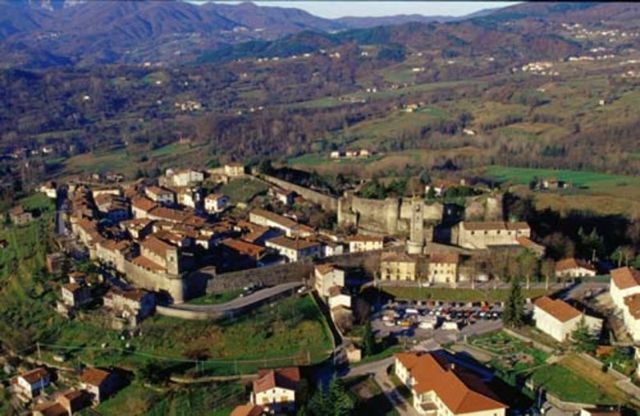 The charming hilltop town of Montecarlo, very near Lucca, produces some outstanding wine and has some great restaurants and a castle. There is an ancient, cavernous wine cellar, originally Roman from the year 100, underneath the city of Lucca. You can visit and arrange a wine tasting down in the cellar. We can give you the details. 24. 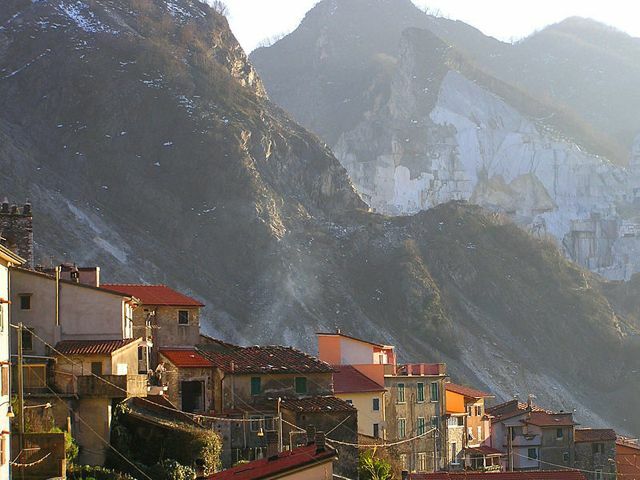 The marble of Carrara. 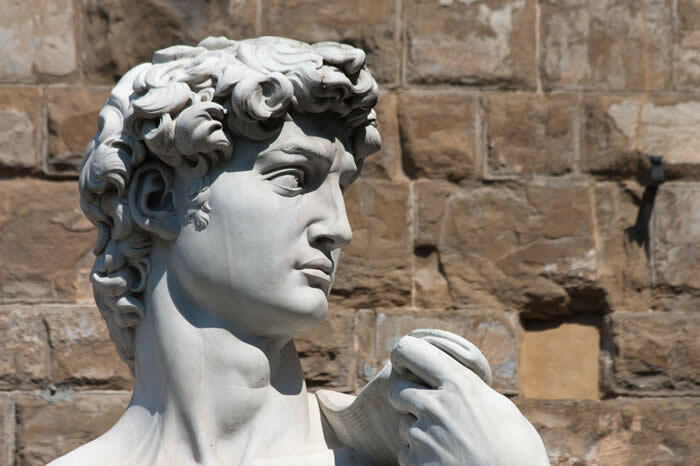 For 2000 years, the famous white marble used in Michelangelo’s David has been mined near Lucca, originally by Roman slaves, in the town of Carrara. 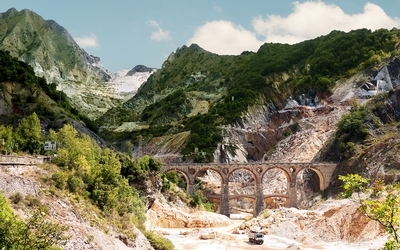 The white mountain, enormous quarries and marble caves are still in operation and offer tours. And while you are there, visit Colonnata, near the marble caves, for lunch, where they make the world famous 'lardo di Colonnata' - chefs will know what this is! 25. Tennis and golf. There are several clay-court tennis clubs nearby. There are also a number of golf courses within an hour’s drive, including the Montecatini Golf Club and, by the sea, the Cosmopolitan Golf Club. swimming on hot summer days. It is about an hour from Lucca. 27. Christmas in Tuscany, Italy. 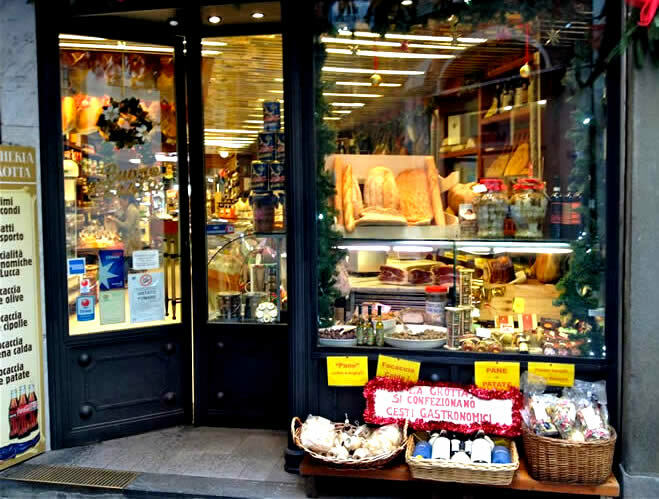 Lucca is gorgeous when decorated with white Christmas lights, and the tiny stores which line the twisting streets are open late in the evenings before Christmas day. 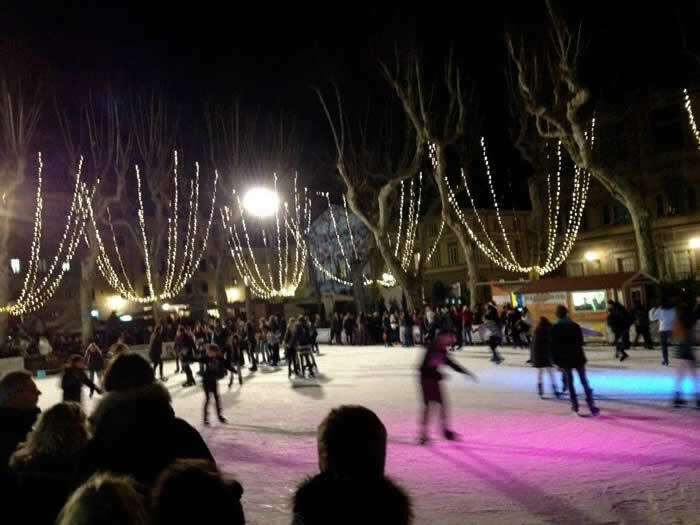 Here's a shot of the outdoor skating rink that they set up in Piazza Grande each year. Famous picture postcard Tuscan town, a nice day's visit, 90 minutes from Lucca. 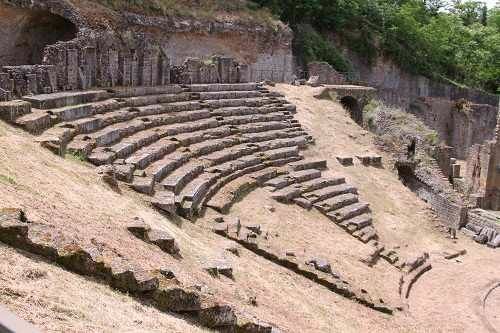 Etruscian, and Roman ruins, in a beautifully preserved hilltop town, about 90 minutes from Lucca. This page is really just a small sample of what your friends and family can do in the area. And if you'd like help in organizing a few special activities (cooking classes, massages, tours etc) please look at our Add-On Activities Page. There, we describe lots of options, which we've already organized and priced, to make planning a great week easy for our guests.